It isn't my first visit to Jimmy's A&A for their famously greasy yet satisfying donairs. Every time I visit, I ensure that I have brewed up an appetite to eat an entire cow. I am not joking. I highly suggest that you visit with the ability to eat eat. 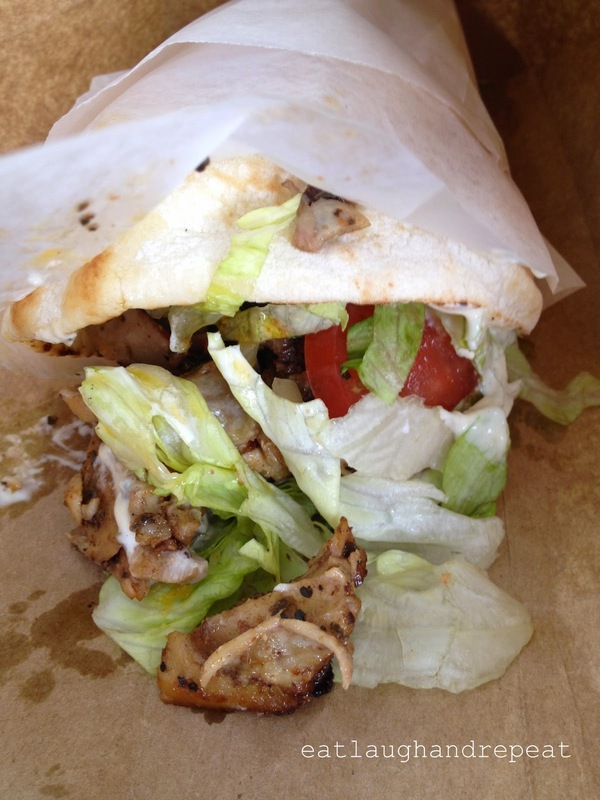 Jimmy's is known for loading up the donairs so that all who attempts to eat it will do so in a complete mess. Don't say I didn't warn you when I tell you that you will have sauce dripping down your hands and meat falling out of your pita. This is not the ideal place for a first date and most definitely not the place to "share" a donair with your significant other. With that being said, I highly suggest that you either take out your order to devour at home away from the public eyes, or if you cannot wait a minute longer, there is a tiny seating area upstairs. Just do not try to eat this "on the go" in your car. Personally, I have always ate my order on the premise of Jimmy's, and had never had a problem with finding a vacant table despite the size of the seating area. 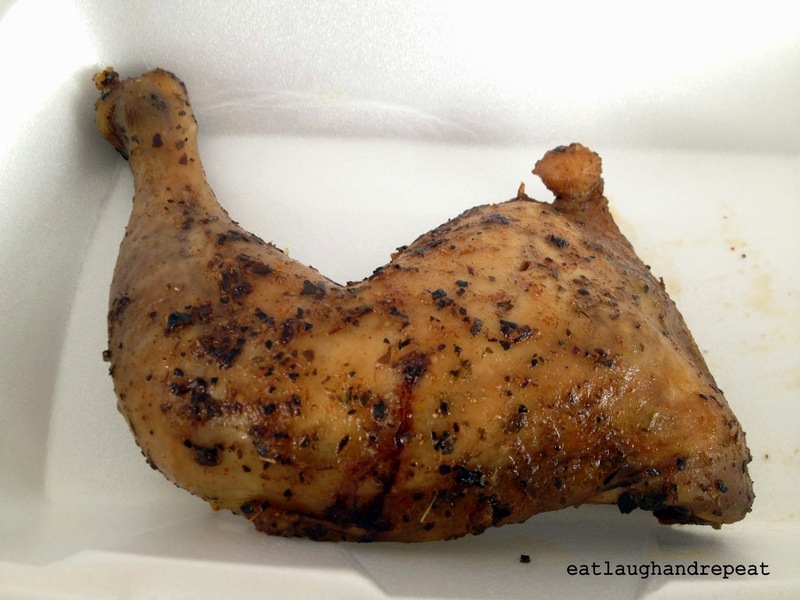 Every time I visited Jimmy's in the past, I have always eyed on their chicken leg because it looked so juicy and delicious. 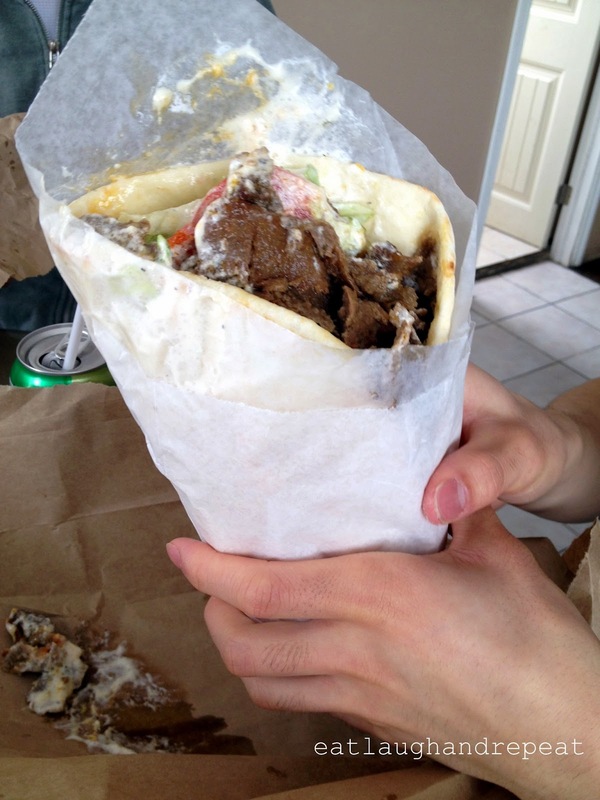 And every time I passed on it because the donair itself is quite the meal. On this particular visit, as I was staring at the chicken legs and debating out loud, a friend decided upon himself that it would be to his amusement to order me a chicken leg on top of my already ordered medium sized chicken shawarma. As much as I was trying to stop my friend from ordering me the chicken leg, I changed my mind and was secretly glad he did so after I took my first bite. The chicken leg was tender and soft, and not a single bite was dry. There was also a small pinch of spice added on top of the chicken skin, but not enough that it took over the original taste of the chicken. If you are a chicken leg lover like I am, I would highly recommend getting this. Prior to the chicken leg, I had already ordered the medium sized chicken shawarma. Although I didn't feel grossly full after finishing both thoroughly (mind you, I had come from exercising previously), I had wished I had ordered the small shawarma instead for the sake of feeling mentally well. 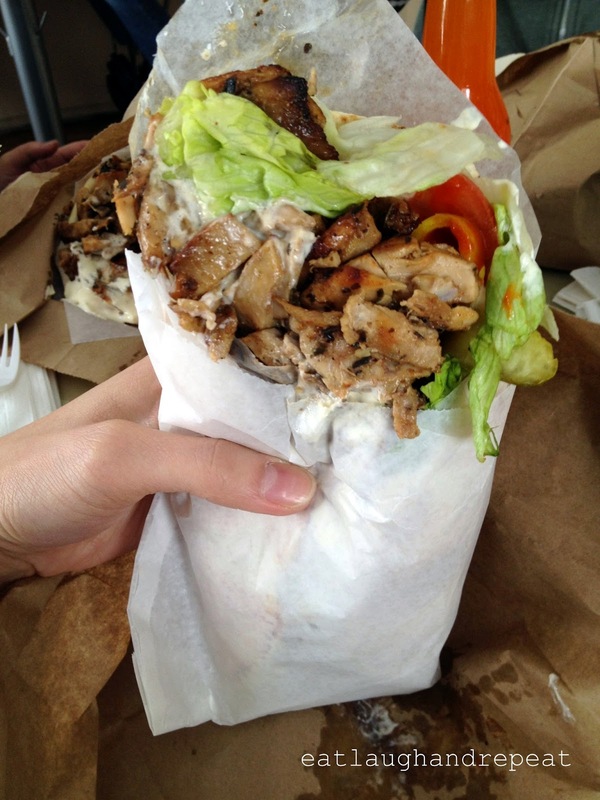 Medium Sized Chicken Shawarma: They ask you if you want lettuce, tomatoes and onions(?). In addition, they also ask if you would like hot sauce and banana peppers. I said yes to everything. In the picture above, it is my shawarma untouched, but only unwrapped for the picture taking, and already you can see everything spewing out. Jimmy's pricing is a tad more expensive in comparison to other donair shops, however I find it worthwhile because Jimmy's load up on their donairs to the point where it overflows. My medium sized chicken shawarma was $8.75, while the large beef donair $11.50. It may not be the cheapest shawarma/donairs you can find in Calgary, but I would arguably say it is one of the most delicious shawarma/donairs you can find in Calgary.